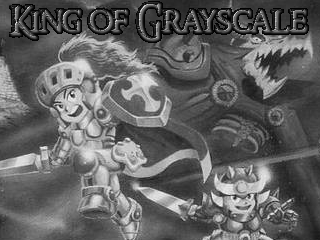 Enter the world of Grayscale, an island kingdom with a terrible secret brewing at its heart! Enjoy the retro feel of Gameboy-esque colors, sounds, music, and graphics! A short story game at its core, the end product will probably run for an hour or two. First my submission for the RMN 2017 Birthday Event, and now finished as of the RPGMaker 28th Birthday event. It's been a long and crazy year, and I'm really thankful for everyone that's come along the way. Enjoy these features! -Classic Gameboy lack of colors! -Endless hype for a short gam! -Buffed Mind on primary caster weapons. -Nerfed Attack on primary caster weapons. 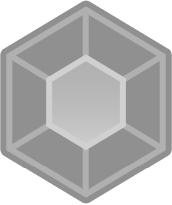 -Buffed Stat Increasing abilities to be status granting with a temporary duration and higher strength. -Ability on use items fixed, now correctly cost 0 MP and work as intended. -Healing abilities buffed all around in order to try competing with the mighty Herb at late game. -Byle is now immune to magical beneficial spells, as was initially intended (healing, reviving, buffing). -Added a notifying message upon entry to Slate Woods about Bypass clearing. -Added an NPC to Monochrome that clarifies the nature of battlegrounds. -Switched positions on the Platina Elder and his assistant for poor Libby's sake. Byle is turning out to be my favorite character. I added a demo! Enjoy folks! Probably about 30 mins of gameplay. I've downloaded the game and will play it today! Looking forward to the old school experience! Update: I'm lovin' it! I just finished the content so far and I've got Ashe at lvl 9 or 10 right now. I grinded gold and XP at the battlegrounds in front of the coal mines to buy all the characters the best available equipment. I've picked up Seri, Byle, and Podo as extra characters. Though I got Podo last because I missed the chest containing a book in the town of Soot. I really liked how Seri learned new spells.. I thought that was a nice touch. I only died once at the Elder's house, I didn't grind first or buy new equipment before going into that fight! I've subscribed, keep up the great work! Hey guys, thanks for the support! I'll make sure to post when I have anymore big updates. Game is now complete! Download has been updated to reflect the completed status. Enjoy, everyone! I wholeheartedly recommend everyone play this game! It seems like the download got reset? Did something change, Illy? No, I just had to upload a new file instead of updating the old one for it to appear on next months released games. A flaw in the system, imo. Fixed Crystal Edges attack animation. It should display properly now.